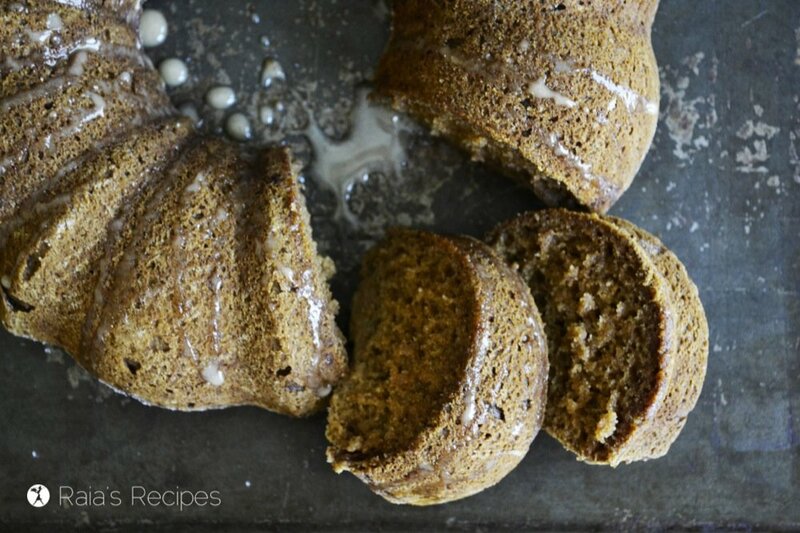 Whether you’re celebrating Rosh Hashanah, or just in search of an easy treat, this gluten-free Spiced Applesauce Cake is the perfect fit. Welcome to my kids’ “special Rosh Hashanah cake,” born out of a mash-up of my Chocolate Applesauce Cake and a recipe in a book on the Feasts of Israel. 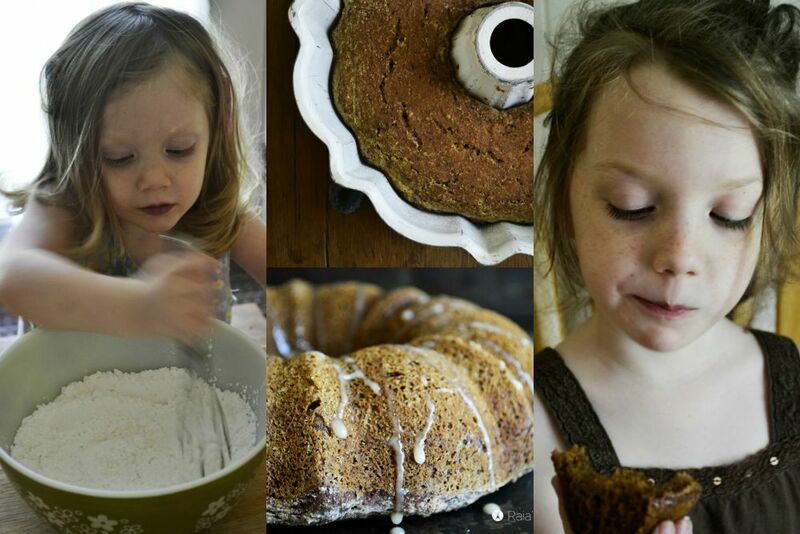 Though typically, Rosh Hashanah treats use apples, not applesauce, a few of my princesses don’t care for chunks of things in their cakes, so I opted for a more kid-friendly version with applesauce. 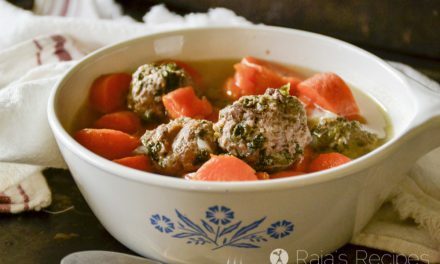 I’ve updated this post with new pictures, but I couldn’t help leaving this one on from back when my daughters first helped me make this recipe. So cute! 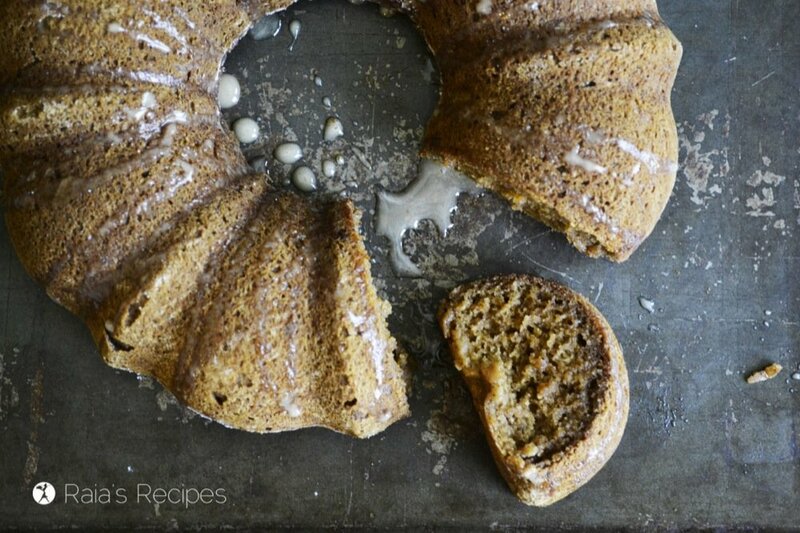 I hope you love this chewy, Spiced Applesauce Cake as much as we do! Preheat oven to 325 and grease a bundt pan or a 9x13-inch baking dish and dust with rice flour. In a separate bowl combine applesauce, molasses, and vanilla. Add to dry and stir just until combined. Pour into prepared pan and bake for about 35 minutes. Set to cool. In small bowl, whisk together honey, cinnamon, and arrowroot. Drizzle over cake. 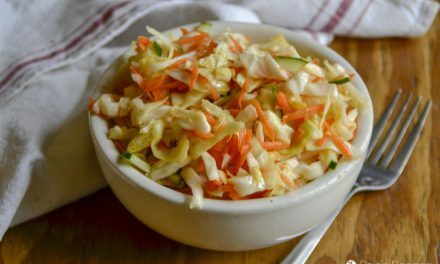 I am so glad I found this recipe via Green Living Thursdays. 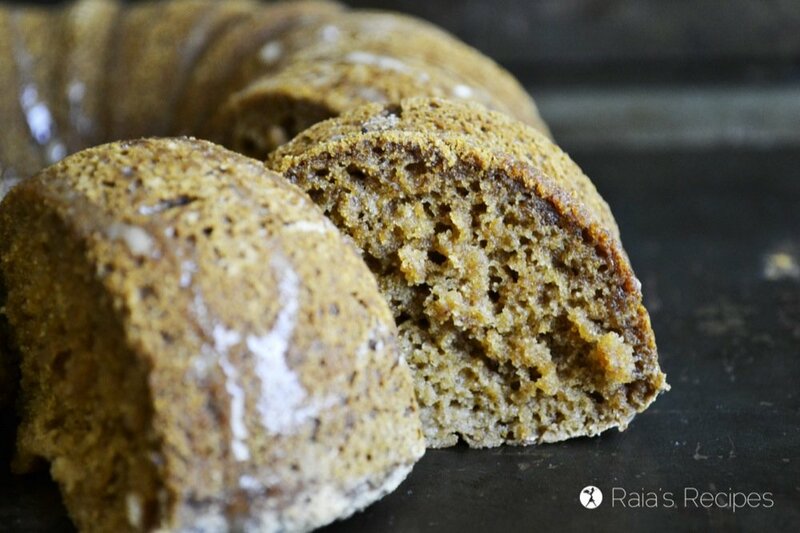 What a delectable recipe for Chewy Spiced Applesauce Cake. I look forward to making it soon. I wonder if I can substitute stevia or agave for cane sugar, though. This looks so yummy. 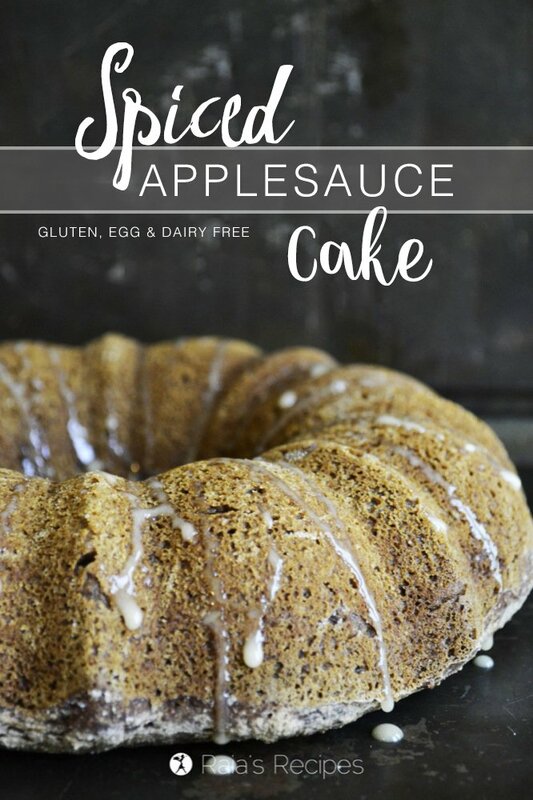 I make a simple applesauce cake, but this one has more to it! I will definitely try this one! Thanks for the recipe! Perfect timing for the onset of apple season! Thanks for posting to Dude, Sustainable! Green Living Thursdays! 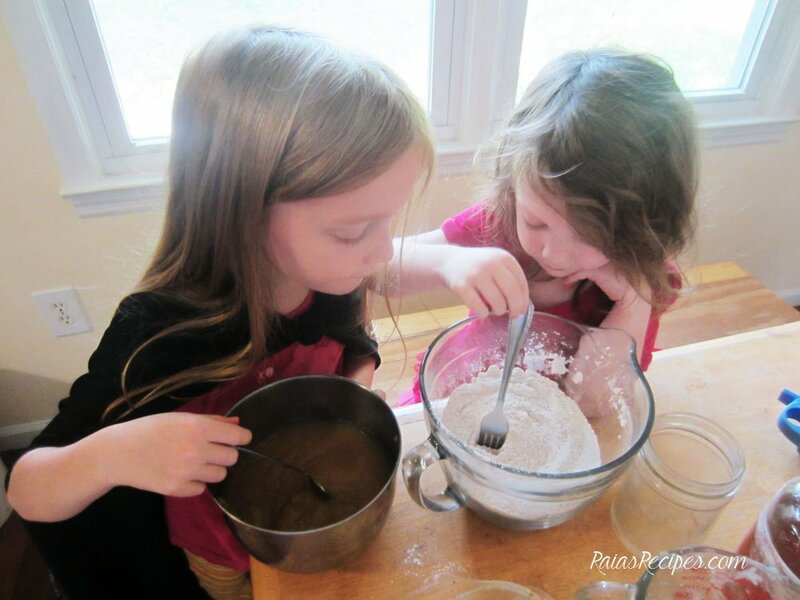 Looks like a great afterschool snack, I will play with the flours and the sweeteners and let you know how it goes! 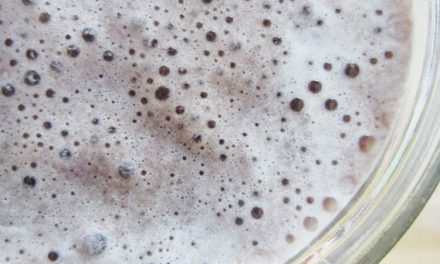 I am featuring your recipe on AFW this week, thanks for shairng it with us! Thanks for the free marketing, Carly! Haha! ; ) So glad you liked the cake. Happy Valentine’s Day! 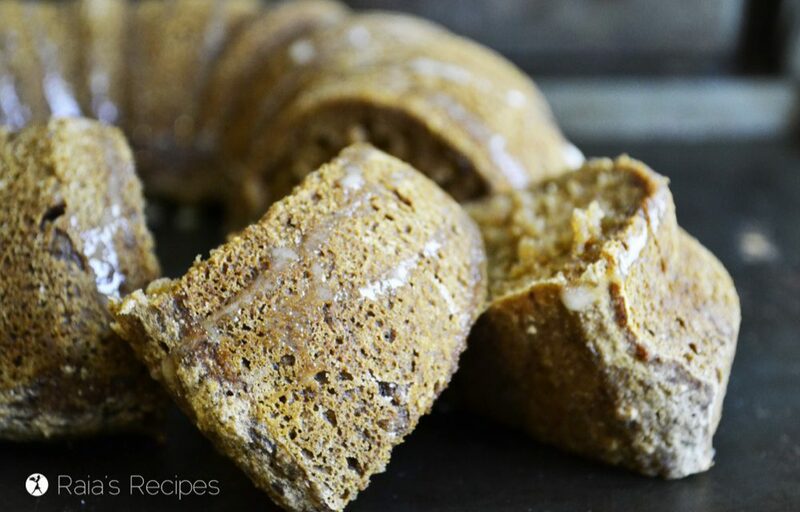 Thank you so much for sharing your healthy and delicious Chewy Spiced Applesauce Cake with us at the Healthy, Happy, Green and Natural Party Blog Hop. I’m pinning and sharing! Glad to share, Deborah! Thanks so much for stopping by and pinning! Yum ! This sounds delicious.Your little girls are adorable. Thanks for sharing on Real Food Fridays. Pinned & tweeted. This sounds so delicious with all of those spices! Such a yummy fall treat! 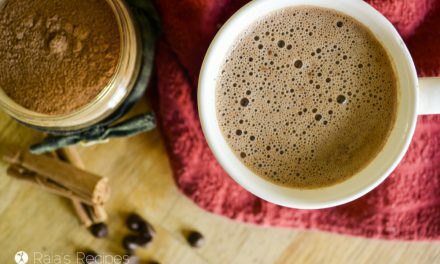 Love that you use molasses in this! What a pretty cake-it looks so moist & delicious! Your taste testers/helpers are adorable!! I made this last night 🙂 Super delish!! Thanks for the recipe.